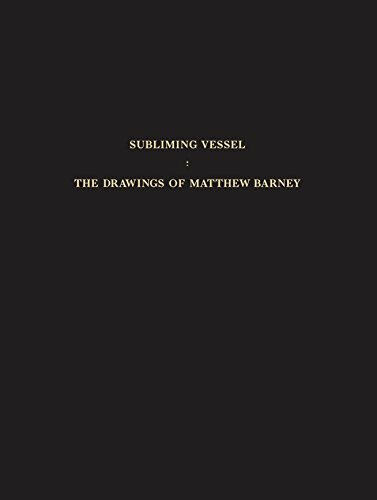 This accompanying catalogue to largest exhibition of Matthew Barney's extraordinary drawings to date explores this central aspect of the artist's important body of work. Drawing has always been an incredibly important part of Matthew Barney's practice: his first major work--completed while still at Yale Art School--involved him creating a wall drawing while harnessed to the ceiling of his studio. In this exhibition and accompanying catalogue, one hundred of the artist's most important drawings are presented from his major series of works--including "The Cremaster Cycle," "The Drawing Restraint" series, and most notably "Ancient Evenings," the body of work that has occupied the artist in the last few years (and is based on Norman Mailer's ancient Egyptian-inspired novel of the same name). This exhibition and catalogue also represent a unique collaboration between the artist and the august Morgan Library, in which he was invited by the institution to mine their extensive holdings in order to include objects (drawings, manuscripts, etc.) in the installation of his work, to create an interesting framework around the many ideas the artist is exploring. In addition to a major essay by curator Klaus Kertess, who considers the many themes the artist draws from, the book includes a poetic contribution by artist Roni Horn and an insightful text by Adam Phillips, noted psychoanalyst.